A Belgian court has rejected an application to ban a colonial-era book about the Congolese adventures of cartoon character Tintin for breaching racism laws, court documents showed. 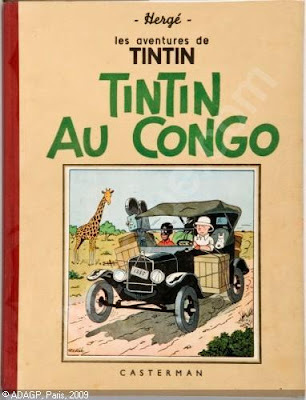 Brussels' court of first instance said it did not believe the 1946 edition of "Tintin in the Congo" was intended to incite racial hatred, a criteria when deciding if something breaks Belgium's racism laws. The decision was issued late on Friday. The Adventures of Tintin, a series of comic books created by Belgian artist Georges Remi, who wrote under the pen name Herge, has gained renewed, global popularity in the past year after Hollywood director Stephen Spielberg made an animated film about the intrepid boy journalist and his little white dog Snowy. "Tintin in the Congo" was the second book Herge produced, with the plot revolving around Tintin's escapades in the former Belgian colony, including encounters with diamond smugglers, big game hunters and wild animals. In 2007, Congolese campaigner Bienvenu Mbutu Mondondo launched legal proceedings to try to get the book banned, arguing that its portrayal of Africans was racist. "Tintin in the Congo", which was first serialised in 1930-31 and reissued in 1946, has always attracted criticism. Herge himself said later in life that he wasn't happy with the work, which was only published in English in 1991.